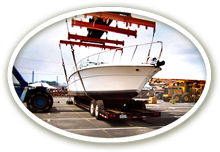 ABOUT US ship your boxes sea freight forwarding air freight forwarding moving? order container vehicle transport boat shipping roll on - off shipping road and intermodal forwarding special cargo rate requests cargo tracking document center smart links customers worldwide other moving from hungary GALERY usa purchase assistance? We would like to receive your feedback! We are a really appreciated if you can spend a short time to send us an email about your shipping experience with us. If you wish we can post your comment here, under our references menu. Your opinion can help to improve our services and the quality. If you have a business or just know a lot of people and you are making a shipping referral to your customers or friends, please print your name, number, email or your business information on our flyer. Also make note on the flyer of your customer or friend name, their box or package details or vehicle information you are referring. Hand over this flyer to a person who has cargo to ship. But, please make sure the flyer will returned back to us. We will contact you with the price for your referral. Every 5 referral received for shipping packages, boxes or loose cargo with your information. OR Each vehicle shipping referral received! FREE 1 Suitcase or similar size box shipping From Miami to our Budapest warehouse. Only the shipping cost is free. Number of flyers counts only when the cargo has been shipped with us. If you did not received our flyer do not worry, you can click below link to print it ! Or you can make your referral via Email. Please send us all shipping information, and we will confirm it!